After being dumped in a trash bag "full of wet, dirty towels," four newborn kittens are finally safe in the arms of rescuers. They almost certainly would not have survived if it weren't for a concerned stranger who discovered them and brought them to a veterinarian in Edinburgh, Scotland. 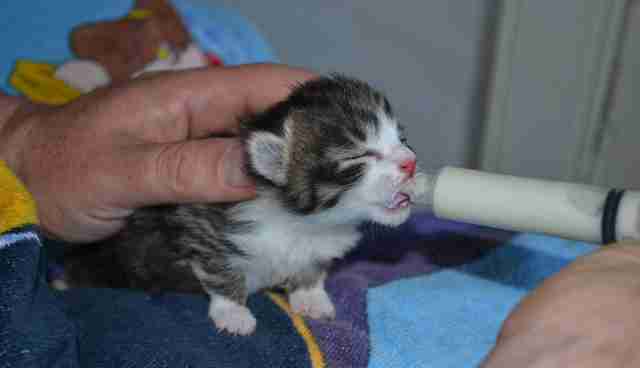 The week-old kittens, so new that their eyes aren't even open yet, are now in the care of the Scottish Society for the Prevention of Cruelty to Animals (SPCA). "The kittens are far too young to be away from their mum but despite this they are in okay condition," the Scottish SPCA posted on Facebook. Rescuers added that they were concerned for the mother cat, who, if she is alive, is likely "extremely distressed at having her kittens taken away from her so soon." Newborn kittens like these require constant care and attention, and SPCA staff have been bottle-feeding them around the clock. As soon as they're old enough, the little sibs will be adopted out into loving homes. The SPCA is requesting information from anyone who knows who might have cruelly left the kittens to die. During kitten season, these tragic stories are far too common, and not all abandoned kittens are discovered in time. The best way to prevent unplanned litters is, of course, to spay and neuter your cats. 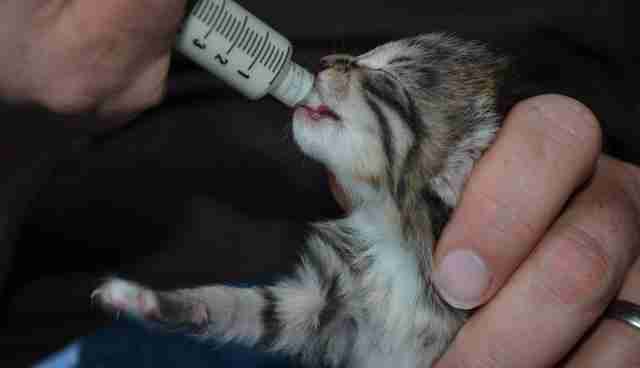 Shelters need lots of help dealing with the flood of kittens that arrives every spring. Contact your local humane society or rescue organization to find out how to best contribute.